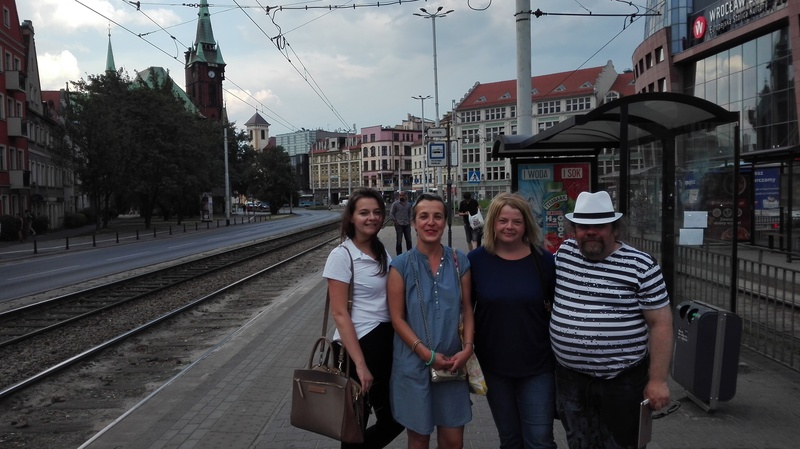 Today we left Germany and transferred to the city of Wrocław in Poland. We were welcomed by our hosts PPM ZAJEZDNIA (Work-Room of Intercultural Projects) with a meal and a film to introduce us to the history of this city. The motto of the city is ‘the city that never gives up’ this could also be our motto for the effort to ensure that everybody has access to decent incomes. Where we are staying is an NGO centre called Tratwa (meaning, little boat). Its original purpose was to house people made homeless from the great flood here in 1997. It is a privilege to visit this great city and to get to know its stories, including, how organisations work in the city at this time to improve the life of its inhabitants.